Do you know the difference between rules and laws? What are all the symbols that indicate a rule we should follow? 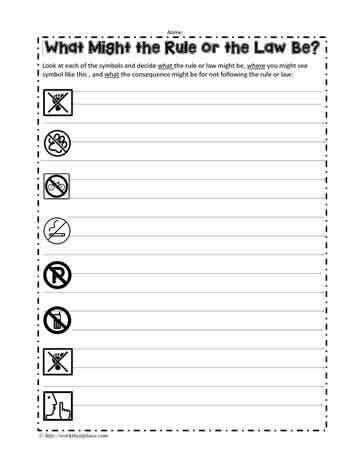 Social skills worksheet for following rules as posted on symbols.